Andy Serkis attends the "Black Panther" European Premiere at The Eventim Apollo Hammersmith in London on Feb. 8, 2018. As memorable baddie Ulysses Klaue in the jalapeno hot "Black Panther" movie, millions of moviegoers around the globe will finally see what Andy Serkis looks like. The legendary motion capture actor, who has played a slew of memorable CGI characters – including Gollum ("Lord of the Rings"); King Kong (2005's "King Kong"); Caesar (recent "Planet of the Apes" trilogy) and Supreme Leader Snoke (the last two "Star Wars" films) – finally gets a role in a big-budget tentpole where he can look like himself and be recognized. "I love doing performance capture and I've never made a distinction between...[it] and a live-action role," Serkis told PhillyVoice in an exclusive interview. "There was that scene in 'Return of the King,' where you see the character of Smeagol before he turns into Gollum...But, I think this is probably the first time I've played a live-action character in a big-budget movie, probably!" "But I love this character – absolutely love playing him," Serkis continued. "He was a lot of fun to get into." Audiences first got a glimpse of Klaue in 2015's "Avengers: Age of Ultron." The actor feels that film just scratched the surface of the villain and that in "Black Panther," Klaue is shown to be rich, complicated and layered. "On the spectrum of a character's moral compass, he's right down on the end. He's a stealer. He's a thief. He's a sucker and a taker," Serkis said. "He absorbs and he takes and he's not empathetic at all. He's a lone wolf. He doesn't care about anyone else. He works for governments – doesn't matter. He's apolitical. So, I really wanted that to come across." However, Serkis wanted Klaue to be more than a masterful villain. "I wanted him to be someone that, in order to duck and dodge and weave and get in and out of all these situations, has to have a certain amount of charisma or extreme humor that gets people to trust," he said. "So, basically, I want people to know that they can have a beer or other substance with Klaue and have fun...All the while, you don't know if he's being truthful. You don't know what's the mask or what's the facade." Many Marvel Studios movies have been criticized for not having one memorable villain, but "Black Panther" has two – Klaue and Michael B. Jordan's Erik Killmonger. "He's a terrific actor," Serkis said of Jordan. "We had a blast working together. I think he's a really, really great talent. He can be serious and he can be very funny. We had fun doing it – but there's a real danger to his performance as well. It's really subtle and exquisite...I hope we work on something else in the future." Serkis said he finds it fascinating that Klaue and Killmonger are two sides of the same coin. Killmonger is very militant, whereas Klaue is less than enlightened as well. "Klaue is still living in this pre-end-of-apartheid world," he said. "He still doesn't treat people of color well and is quite racist and he treats Killmomger like that. He calls him 'boy,' which is obviously degrading and Killmonger takes it – or so Klaue thinks." I want people to know that they can have a beer or other substance with Klaue and have fun." While the other blockbusters Serkis has been a part of all touched on the human condition, he feels "Black Panther" is unique because it is "charged politically." "It's driven by a lot of real-world issues and is the first modern African-American superhero – and that is a landmark that will send ripples across the world," he said. "What that means, right now, in the world we live in, is astounding. "So, I think by that definition, we will have significance. The great thing is it's not overt. It's still great entertainment with a great sense of humor." Serkis said that Martin Freeman and himself playing the only major white characters in a predominately black cast was an eye-opening experience as well. "It totally makes you aware of being 'the other,'" he said. "No matter how liberal or open-minded or empathetic you are, until you find yourself...truly experiencing what it must be like to be...a minority actor in a predominately white cast...is a really valuable experience." As for his villain's motivations in the film, he said it has to do with Klaue being one of the few people that knows that Wakanda – the nation over which the Black Panther rules – is hiding the truth about themselves and their riches and resources to the world. "He sees himself, in almost a Messianic way, as the only person who truly understands that these people are lying," Serkis said. "He knows that under this exterior of pretending to be a Third World country, they're sitting on unimaginable wealth. So, I think his hatred of T'Challa is based on his feeling he's keeping a big secret from the rest of the world." Serkis said he feels "Black Panther" is a watershed cultural event that will be talked about decades from now and that he's proud to be involved with it. 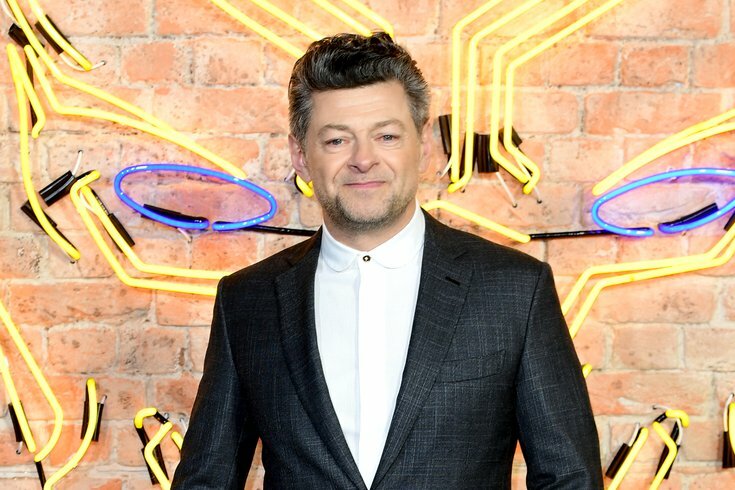 "I feel grateful to be a part of it," Serkis said. "As an actor, all you want is to change opinions and...open people's perceptions...and ask them not to just accept the status quo." "You can feel that this is going to cause a big change," he concluded. "There are schools that are taking their entire classes out to go and see this movie because they are at an age where they will realize they're living in an age where an amazing tentpole movie predominately cast with people of color is now possible."